Those familiar with the general tone of writing on these pages will be aware I often attempt to present the reader with referenced reflexology articles, rather than simply offering my personal opinion. However, this particular blog contains many of my own reflections and personal opinions. A reflexology colleague referred to it as a ‘marmite piece’; some will love it, and some may not! In either scenario, I hope the article stimulates further reflection within our collective therapeutic community. Reflexology is benefiting indirectly from scientific investigations more now, than perhaps at any time in the modalities modern history. The emergence of more integrative scientific research fields, such as psychoneuroimmunology, and certainly, the fairly recent insights gained through the development of fMRI scanning, means the modality is currently far more able to begin formulating a hypothesis based on fact, rather than individual conjecture. The intention of this blog is to champion the development of such a collective foundation hypothesis in reflexology, and to highlight some of the important ethical and professional challenges our wider reflexology community may face as we move into the future. The contents of the blog are perhaps not so closely associated with the practitioners everyday practice, but some of the questions posed remain important in relation to the future development of reflexology, and indeed the reputation the modality might build as a worthy therapeutic intervention, within a wider CAM context. Development – (noun): a process in which something passes by degrees to a different stage (especially a more advanced or mature stage). (synonyms): evolution, process, deepening, growth. Some of the reflections contained within this blog centre upon enquiring whether the reflexology community is ready to collectively expand and develop the modalities theoretical definition? Can our community begin to embrace new information and construct a more mature, accurate and deserving definition of reflexology? One describing an entirely worthwhile, non-subjective therapeutic modality? Other reflections require the practitioner to turn their attention inwards, and work hard to encourage more distance between the ego and personal opinions. Finally, some of the reflections might be considered within a more ethically based context, and so are associated with commercially related concepts. Some years ago I attended a large complementary therapy conference hosted by a well known teaching hospital in the UK. I had been in practice for a few years by this time, my confidence had grown a little, and I was beginning to understand some of the more complex dynamics related to my modality, and so when a reflexology colleague suggested we attend the conference, I jumped at the chance. One of the primary speakers involved in the event was responsible for allocating NHS research funding for complementary therapies in the area. The speaker guided the audience through the process of applying for funding, and spent a good portion of his time discussing the requirement for the clinical community to “take control” of complementary therapies, stating doing so would ensure the general public would be provided with ‘evidence’ regarding the merit of each of modality, or indeed lack of therein. The speaker concluded by offering his conviction that only by taking control of complementary medicine could ‘public safety‘ be ensured, and that helpfully this process would also eliminate “all the con-artists and charlatans choosing to practice privately”. Now, whilst I fully appreciate this particular speaker made the assumption he was addressing a room full of allied health professionals, unfortunately, on that particular morning, I was listening too. I raised my hand and expressed my deep disappointment on hearing his words, and in realising through those words the bridges I had hoped would be constructed between the private and clinical sectors, did not seem to exist, even within a future hypothetical context. The speaker was of course quick to assure me his comments were not directed towards practitioners such as myself, but rather individuals such as Harold Shipman (a UK GP previously convicted of murdering a number of his patients). At this point I reminded the speaker Dr Shipman was in fact a clinician, and not a complementary therapist working in private practice. The Chair halted the session for lunch. I left the conference early. A 2009 Mintel report estimated the UK complementary therapy market alone be worth in excess of £213 million annually. Perhaps then, not an enormous stretch to suggest, just possibly, to the ears of big business industry executive, these large sum of money identified by both the World Health Organisation and Mintel, may represent a rather enormous loss of potential health related revenue? Now, whilst I certainly wouldn’t want to appear overly Mulder and Scully here, I may be tempted to go as far as stating, whilst big business and politics are often happy playmates, ethics is rarely invited to the party. Just a few years on and our industry, certainly here in the UK, finds itself currently navigating many of the restrictive advertising regulations implemented by the Advertising Standards Industry (ASA), after their remit expanded to include internet adverting – this in response to the issuing of EU Nutrition and Health Claims Regulation in 2011. It is worth noting these ASA rulings encompass not only complementary therapies, but all manner of health and well-being related products and services. I suspect these latest recommendations simply represent the emergence of ever increasing regulation and control across all aspects of the health related market. 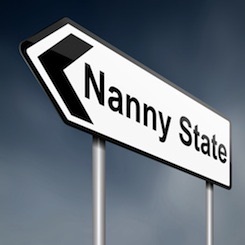 Whether any EU rationale is encouraged by an increasing nanny state mentality, or perhaps elements within the clinical sector desiring more control, or even by the sometimes uneasy relationship between the corporate world and politics, is perhaps irrelevant. What really matters is where we are now, and how we plan to prepare for the future? Suffice to say, the body of ‘evidence’ required to transverse the heavy ASA restrictions is unlikely to be available to our industry for some time. In essence reflexology has been challenged with attempting to fit a square peg into a round hole, and we stand presently with little vocubulary, voice, or rationale to protest. The medical model, proffered as the ultimate measuring tool, is unfortunately not constructed in a manner capable of appreciating the many complexities associated with the complex reflexology package. Certainly, whilst double blind trials might merit gold standard acclaim within chemical and technology based research, the same cannot be said about their ability to fully comprehend or measure the many complexities involved in the reflexology exchange. Let us not pretend such a one dimensional quantifiable type measurement might produce anything other than overly simplistic data within this particular therapeutic context. After all, the very suggestion would imply reducing the unique phenomenology accorded to the individual human consciousness to nothing more than a numbers game. The second problem associated with relying too heavily on the emergence of clinical type research is related to how our modality might begin to account for why our reflexology clients remain so very loyal to the modality? Who is measuring the impact of reflexology for the stressed office worker, or the teacher, or the busy mum choosing to making space for their own needs? Who is collating the opinion of the sub-fertility client, or the everyday client with no particular accompanying clinical condition, reporting they just feel better when they attend for reflexology? Professional practitioners in private practice are engaging with thousands upon thousands of reflexology clients every single week, yet unfortunately, very little work is undertaken to record, rationalise, or attempt to constuct a justification for much of that important therapuetic work. Instead, we wait to see what the clinical world might come up with? Collectively, we must come to accept clinically based reflexology research is motivated entirely by health sector requirements, and very real funding limitations, and certainly not by an altruistic desire to help define reflexology. The health sector pot of research money is often allocated to important medical type research long before complementary therapies are considered. Perhaps we have been a little naive in believing if we waited for long enough the clinical world would finally acknowledge the worth of reflexology, and help us out! The clinical world has its own agenda, and whilst reflexology can certainly play some part within that agenda, we would be foolish to believe from that place reflexology will eventually come to be recognised for all its therapeutic worth. So, You Don’t Care About Science or Research? How often have you come across this statement? “Science doesn’t understand what we do in reflexology, and never will”. Ok, granted, perhaps ten years ago, or even five years ago it might have been fair to suggest science lacked an appreciation of the complex mind-body connection, but today, the same statement does not stand true. Admittedly, there does exist one major hurdle our industry is required to overcome before opening the door to the possibility of engaging the attention of the wider research community – we don’t speak their language, and I’m sorry to break the news, but they have absolutely no intention of learning ours. If we are to stand any real chance of engaging the future attention of the wider scientific research community, or more effectively presenting reflexology as worthy of gaining non-clinically based research funding, then it would wholly constructive if we could begin referring to our complementary modality using an already established and recognised therapeutic language. It is also worth pointing out here quickly there is a difference between scientific and clinically based research. The former tends to explore a given phenomenon simply for the sake of exploration, with no particular goal in mind, whilst the later often sets off with an already formulated goal in mind. Think about it? When the clinical world choose to trial a drug for example, they will have been introduced to that drug by a pharmaceutical company with a particular patient group already in mind. A quick scan of reflexology social media pages rapidly shines light on the many flavours and textures associated with the modern art of reflexology. Spend any length of time reading through posts and one soon also becomes uncomfortably aware of some rather bizarre statements, generally accompanied by some loud and opinionated egos. Whilst it might be only natural to expect the development of variation within any phenomenon, at some point in time, particularly when that phenomenon takes the form of a therapeutic modality challenged with providing increasing rationale and justification, then collectively, those involved in that modality must begin to move past a place of individual opinion, and instead begin to focus more upon common themes and fact. One of the main contributing factors causing division in reflexology relates to a distinct lack of personal development amongst reflexology practitioners. 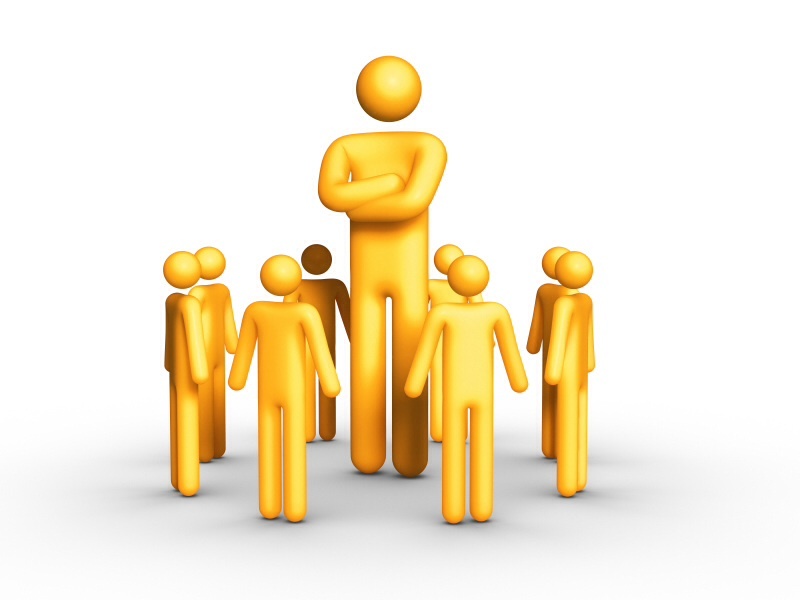 Personal development encourages a stronger internal supervisor, and enhances critical thinking processes. Self development additionally helps to strengthen the practitioners own internal sense of self. Collectively, this internally reflective work can help to us to place more distance between our sense of self and our opinions. Perhaps, in this place one no longer feels the requirement to defend ones opinions quite so vehemently, as though actually defending oneself? Within an ethical and therapeutic context such a stance also encourages more balanced and objective thinking. 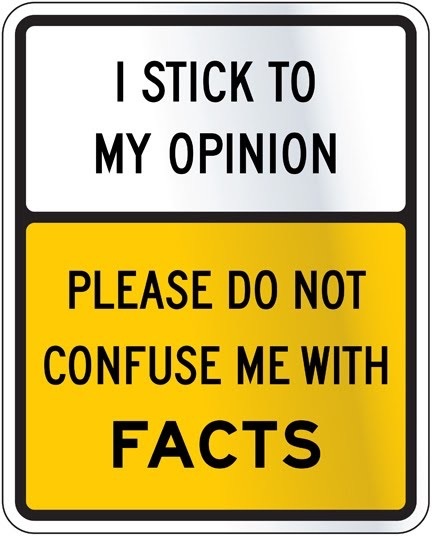 Objective (adjective): not influenced by personal feelings or opinions in considering and representing facts. (synonyms): impartial, unbiased, unprejudiced, non-partisan, non-discriminatory, neutral, uninvolved, even-handed, equitable, fair, open-minded, dispassionate, detached, impersonal, unemotional, clinical. Subjective (adjective): based on or influenced by personal feelings, tastes, or opinions. (synonyms): personalised, individual, internal, emotional, instinctive, intuitive, impressionistic. Personal development provides the practitioner with an opportunity to enhance and strengthen their own internal sense of self, and to identify their unique individual beliefs and opinions, but also to remain objective in their thinking, open to integrating new information, and perhaps most importantly capable of engaging with clients empathically, without any attached prior judgement. Subjective statements are very much coloured by the character, opinions, and existing judgements of the individual. Whilst such statements can sometimes have some basis in reality, more often they have the tendency to simply reflect the perspective through which the individual views their reality. Such statements therefore cannot be verified using concrete facts. Foot reading is a good example of a practice utilising heavily subjective statements. When an individual attempts to make an assessment of the personality and life experiences of a another by reading the lines and shape of a hand, this is referred to as palmistry. When the same phenomenon occurs with the feet, it is referred to as foot reading, and somehow the practice of foot reading has become rather uncomfortably associated with the therapuetic art of reflexology. One of the most important ethical concepts associated with any form of therapeutic work involving potentially vulnerable client groups is the concept of autonomy. Autonomy is really concerned with choice in reflexology. Undoubtedly, practitioners are frequently asked by clients for an explanation for a particular sore point, for example, and the majority of practitioners offer some form of interpretation in return. In an ideal world such interpretations should include the possibility of past injury, structural or anatomical considerations in addition to perhaps a TCM, or more energetic type interpretation. In offering choice through our interpretations, one is also offering our clients autonomy. Here in the UK, our professional practitioners, supported and encouraged by our professional associations, have made great strides in moving away from the unwitting diagnosis type statement. Practitioners have certainly become more vigilant about the language they utilise with clients. It seems unfortunate that same practitioner vigilance has not extended to include all assumption based statements. Foot reading and the practice of reflexology are entirely unrelated. One has a basis in opinion and can be described as a highly subjective activity, the other can be defined using already established therapeutic terms, and justified using accepted scientific, clinical and academic information. We should endeavour to retain a clear distinction between the two. With a high number of reflexologists practicing additional therapeutic modalities the decision making process related to choosing where to apply for professional membership is often dictated by financial consideration. It is however perhaps important to remain mindful of the fact the more any single modality blends into the structure of a large and complex organisation, the less chance the that modality stands of maintaining a strong and authentic voice. Reflexology is ultimately best represented by individuals who understand our modality intimately, and not by generic therapy associations. Our industry representatives are active, and included in many important consultations on our behalf. I believe we should wholeheartedly support their endeavours. A second important consideration relates to the manner in which any professional association chooses to conduct their business affairs. In order to ensure best ethical practice is maintained, modality associations should be non-profit making and accountable to a board of members, in addition to the wider membership. Try to support those associations focused upon really supporting reflexology practitioners, the associations who give something back to practitioners, and those focused upon the future growth of reflexology, rather than those simply choosing to line their own back pockets through collecting membership fees. Trademarking has existed in reflexology since the dawn of the modern era. In fact, Eunice Ingham was the first to trademark a reflexology foot map. The concept of ownership in reflexology has unfortunately also extended in the present day to include information related to working with specific client groups, for example. 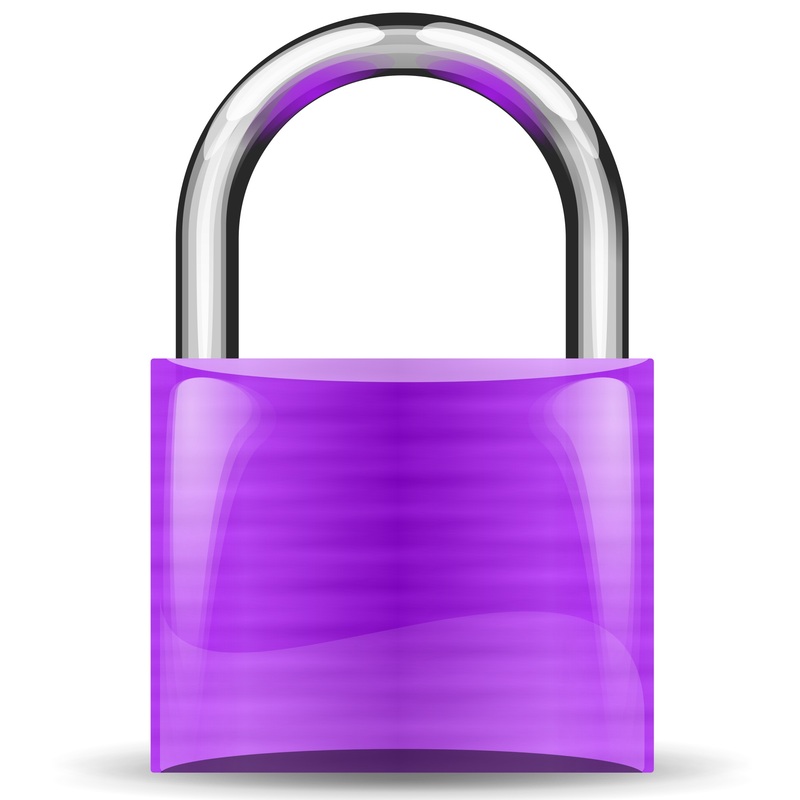 Ideally, all valid information relating to the modality should be shared, explored, critiqued and developed, and not protected behind often difficult to access doors. Not every reflexology practitioner is in the position to attend endless CPD events in order to progress professionally. One is certainly also compelled to question the very concept of ownership within any ethically driven therapeutic modality? It seems perhaps difficult to comprehend how such ownership could possibly exist comfortably within an industry principally concerned with enhancing human health and wellbeing? In essence, it is my conviction the presence of trademarking and ownership within our wider therapeutic community only serves to promote division, and hinder practitioner growth. To explore in more depth how this particular issue may have negatively impacted the development of reflexology, let us momentarily turn our attention again to the topic of the reflexology foot map. There are estimated today to be in excess of 200 reflexology foot maps, each slightly different, each marked with a sign of ownership. The question therefore perhaps remains how does the reflexology community ever hope to engage the attention of the wider research comminity, when collectively those involved in the modality cannot agree upon a working concensus relating to important reflex points? Some seventy four years after Eunice Ingham published her first book, the reflexology industry still cannot agree on the most basic of foot maps! 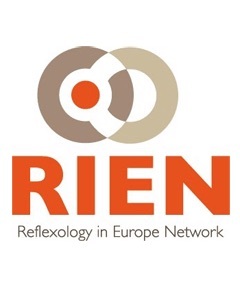 Encouragingly, recently RiEN (Reflexology in Europe Network) began the process of formulating a European foot map, constructed through collating practitioner contributions from each member country. Although still a fragmented map in many ways, this particular development does at least represent a move away from individual opinion, and a step towards a more general reductionist consensus. A place worth noting, also offering space for further development and definition. It would wonderful to imagine a future where professional associations across the world might similarly engage in such a positive and unified, forward thinking strategy. Whilst this particular research does not demonstrate specific activity in the area of the brain associated with the eye specifically (it is worth noting Japanese foot maps place the eye point in a slightly different location to most western reflexology maps), this research does clearly seem to demonstrate validity in the general foot map hypothesis, given both the foot representation and facial representation areas of the brain showed activity. **Superior Mesenteric Vein (SMV) (anatomy): a blood vessel responsible for draining blood from the small intestine (jejunum and ileum). At its termination behind the neck of the pancreas, the SMV combines with the splenic vein to form the hepatic portal vein. This research seems to support the concept of lateral anatomical zones existing in the feet, and that reflexology seems to influence perfusion, or blood flow, to bodily organs and tissues. This research seems to support the hypothesis that reflexology specifically impacts blood flow, and additionally suggests the general zone identified as related to the kidney may be sound. This research seems to suggest the general area identified as relating to the heart may be sound. Every new piece of research permits us to understand a little more. The research mentioned here however, does little overall to help explain why for example, reflexology and emotion might be so closely associated, or to help define why our clients often speak so highly of their practitioners, or remain loyal to the modality? The reflexology package is certainly a complex puzzle, and we are only just beginning to bring the pieces together. Research associated specifically with the mechanics of action. Research associated with specific client groups. Research not specifically associated with reflexology, but relevant by wider association. 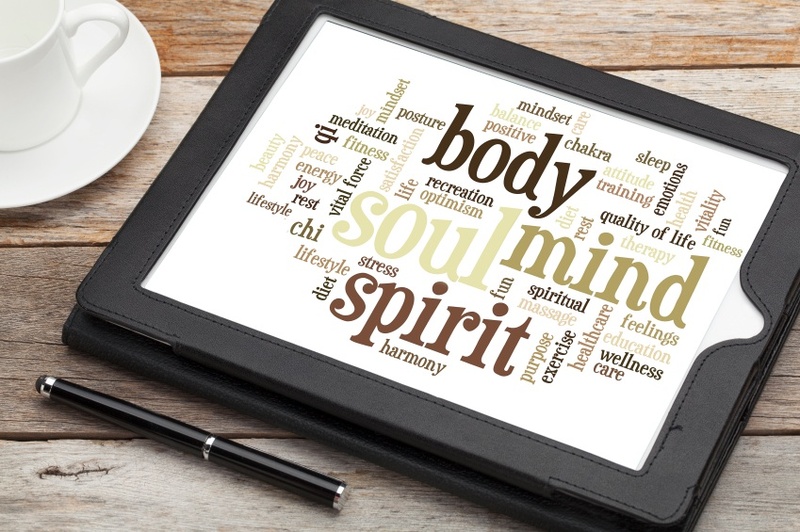 The wonderful news today for the mind-body focused therapist is the scientific world seems to have developed a big old interest in many of the concepts most closely associated with our branch of therapeutic work. For example, researchers have pretty much figured out the brain controls the whole show, and so the relationship between the brain and human biology is also being more closely studied. Scientific examinations are also considering subjects such as interpersonal touch, compassion, empathy and mindfulness. Just about every element one might identify as existing within the reflexology context is now connected to a body of scientific or clinical evidence either offering a more accurate definition, or helping to explain or justify a particular phenomenon. A fascinating and rapidly growing body of cognitive neuroscience and psychological based research is providing a clearer understanding of the complex and far-reaching impact of affiliative, interpersonal touch. Our industry is additionally now in possession of fMFI research findings clearly hinting towards the real existence of a micro-system within the human foot. Whilst other fMRI based research helps us to understand more exactly how reflexology might be impacting the human brain. Additionally, a vast and sprawling body of ongoing psychoneuroimmunology based research provides a clearer understanding of how sustained stress and states of anxiety can impact the individual internal environment, and in turn potentially promote both inflammation, and epigenetic change in the body. A wealth of recent mindfulness and compassion based research provides the green light to officially acknowledge mediation type focusing and deep abdominal breathing, have long since been utilised within reflexology sessions. Finally, information from the counselling and psychotherapy world provides practitioners with well established academic guidance related to the forming of safe and ethical therapeutic relationships with our often emotionally vulnerable reflexology clients. Building a foundation hypothesis in reflexology might seem complicated. Research papers certainly are not always easily accessible, or always written in a manner easily understandable, but there is a really simple way to approach thinking about reflexology. The addition of any flavour, texture, or topping to these four basic components may produce a strawberry or perhaps a chocolate chip flavoured ice cream, but no addition changes the fundamental definition of ice cream. Agreed? In principle, perhaps the reflexology package is not entirely dissimilar to ice cream? What individual components can be identified as defining the basic reflexology recipe? The addition of any particular flavour, texture, or topping within reflexology specifically might be contextualised as the practitioners particular philosophical stance, perhaps for example, choosing to following a TCM perspective. Such additions to the basic recipe also provide space for the unique individuality of the practitioner; for example, some practitioners may choose a more verbally directive engagement, whilst another group may choose to present a more non-verbal environment. Regardless of how any particular reflexology flavour might manifest, the principle components remain unaltered by any individual stance, meaning even the practitioner theoretically choosing to approach reflexology from an energetic or perhaps TCM perspective, is still impacting a clients brain when they choose to touch their clients feet, and any verbal exchange can still be defined as occuring within some form of therapeutic relationship. This is the place where modality cohesion exists. Undoubtedly, this place requires us to lean on existing valid information, but let’s be honest here, who would have imagined, only a few years ago, research would soon emerge suggesting human beings can interpret up to eight different emotions through a brief touch? (Hertenstein, et al, 2006; Hertenstein, et al., 2009). Science is demonstrating some pretty amazing stuff, and will continue to do so. We just need to pay attention. My home is filled with Buddha heads and crystals, and I burn incense everyday. I walk around barefoot whenever I have the opportunity, and I enjoy nothing more than sitting in front of my fire pit, under a beautiful starry sky. I teach Reiki, and my favourite topics of discussion are generally existential or spiritually themed. I suppose in many ways I might be described as bit of an unconventional, hippy sort? Such a description however does not prohibit me from finding true appreciation and value in relevant scientific, clinical or academic information. The two are certainly not mutually exclusive. The world is changing, and so should reflexology, else our modality is in potential danger of becoming rather lost and overly diluted. In my private practice I have worked with scientists, consultants, GPs, and even a couple of psychologists. I have found not all clinicians automatically dismiss the power or value held in our often intimate therapeutic interventions. In fact, certainly here in the UK, there are an increasing number of doctors and GPs developing an interest in how reflexology might benefit their patients, but frankly they are entirely uninterested in hearing your interpretation on what the wonky shaped big toe might be suggesting about the personality, or your opinion on what the swollen bladder point might mean. However, mention research, interpersonal touch, therapeutic relationships and autonomy, and they will begin to listen. Those of us involved in reflexology are well aware of the powerful, multi-dimensional impact of our modality. Our clients frequently report the changes they experience, and those changes can certainly be vast, sprawling and complex. Perhaps we have finally reached a place where we can really begin to appreciate why some of those changes might be occurring, and in turn begin to represent our modality more authentically, using a therapeutic language already understood and recognised within a wider health context. We can only ever hope to obtain a sense of understand according to where we are in our modalities evolution, and as we all know, evolution is an on-going and flux process. Our wonderful modality has come so far in the last few decades, but there is still much to be done if we are to elevate reflexology to a place more fitting of its status as a valuable and complex complementary therapy. It is time to drop the ego, the corporate money making attitude and the division, and instead begin to move towards a future based on a foundation of fact, ethics and concensus. The mind-body connection is currently appreciated, more than at any time in modern history, and many might argue reflexology is perhaps the ultimate in mind-body therapeutic modalities. What an exciting future lays ahead for our modality, and how wonderful to imagine a future where information might be shared openly, and those sharing might welcome both critique and further development. A future where research is valued, and where appropriate, integrated into our rationale for practice, and face to face therapeutic work. A future where individual opinion remains valid, but never becomes overly domineering. A future based upon ethics, sharing, care, empathy and development. A future demonstrating reflexology for what it really should be – a truly mind, body, spirit focused complementary modality, manned by generous, expansive, forward thinking and ethically driven individuals. Hertenstein, M., Holmes, R., McCullough, M., & Keltner, D. (2009). The communication of emotion via touch. Emotion. Jones, J., Thomson, P., Lauder, W., Howie, K., Stephen, Leslie, S. (2012), Reflexology has an acute (immediate) haemodynamic effect in healthy volunteers: A double-blind randomised controlled trial. Complementary Therapies in Clinical Practice, November 2012, Vol.18(4):204–211. Jones, J., Thomson, P., Lauder, W., Howie, K., Stephen, Leslie, S., (2012), Reported treatment strategies for reflexology in cardiac patients and inconsistencies in the location of the heart reflex point: An online survey. Complementary Therapies in Clinical Practice August 2012, Vol.18(3):145-150. This entry was posted in General Reflexology, Practitioner Self Development and tagged Complementary Therapies, Ethics, Holistic Research, Multi-Dimensional, Reflexology, Relational, Therapeutic Relationship, Touch. Bookmark the permalink.